Many professional stylists have a whole hat full of hair styling tricks that they sometimes share with their clients. Of course they don't want to give away all of their secrets! A great hair style trick that is really amazing is the concept of cool/cold. When you take a shower and you shampoo/condition, you can turn the water to cold during the last few minutes of your shower for amazing frizz control. The cold water closes up the cuticle so that it can not absorb as much moisture anymore. Frizz happens when the hair absorbs and holds moisture. Another great trick that is very similar is to switch your blow dryer to the cool setting (or press the cool blast button if you have one) after your hair is dry. This also does wonders for making your hair less frizzy. Try it on your own hair and see! It's like magic. Finding the right hair style that works for your face shape/style, etc., can take some time and careful planning. If you experiment with different hair cuts all the time, it may take many bad ones to finally come to the one that is just right for you. One of the many sources to look for different hair styles is the Red Carpet. By red carpet, I am referring to the entrance that many celebrities make to awards ceremonies such as the Emmy's, Oscars, Music awards and more. Typically the red carpet will show us the most up to date hair styles worn by celebrities. We also get a glimpse into the fashion trends as well. If you are looking for some great new hair style ideas, take a glance at our new Red Carpet Hair Styles at Hair Resources. Amanda Bynes is wearing a long, layered hair style that has lots of volume and texture. Create this style on your own by first applying a volumizing product to the roots and blow dry the hair using a large round brush. To create an extra smooth finish, you can run a flat iron over the hair from roots to the ends. This particular hair style looks great with added highlights and lowlights mixed throughout the head. Notice that Amanda is letting her roots show. This is a very popular trend among celebrities. I'm not sure if they do it on purpose or they just don't have time to get their hair colored. Who knows? Bangs are hot this fall. Add them to just about any hair style for an awesome look. Wear them chopped, short, wispy, long, side-swept, angled or just IN YOUR FACE! Bangs are THE hair accessory you need for this fall. The bob hair style is showing up everywhere this fall. There are short versions, long versions, medium versions and that doesn't even include the ones with all sorts of bangs. The blunt bob, see photo left, works great to draw your attention to facial features such as the eyes and lips. 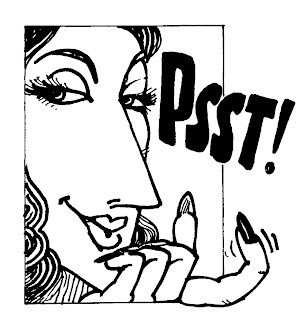 The bangs are kept silky straight and long--almost in your eyes. 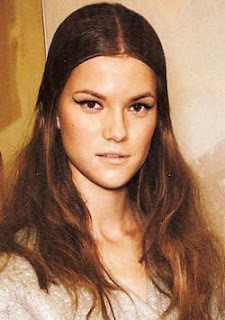 For years now, the deep side part or zig-zag part has been in style. Now, we are seeing the return of the center part. This type of style is very simple and straightforward to create on your own. Simply apply a straightening cream throughout your damp hair. Blow dry the hair using a large round brush to direct all layers down. For the extra smooth finish, you can run a flat iron through your hair from roots to the ends. Finish off with a blast of shine serum. You can leave your hair all down, or pull back a small section of hair in the crown area and secure into a low ponytail in the back. This style can be worn for just about any occasion. For formal occasions, dress it up a bit with a decorative barrette or fancy headband. As the summer is winding down, much attention is drawn to preparing for school. If you want to change your hair style, what are the options and what is in style this fall. Hair style preview. Almost every hair style that is popular today features some sort of layering. The runway models have long layered hair that is curled, straightened or even teaseed for a full look. The medium bob hair style features long layers with the front layers being slightly longer than the back. Short hair styles are full with lots of layering and texturizing. 1. Add just a few highlights to your hair. You can go to your salon for some quick highlighting. Some salons charge per foil and some have a flat fee for partial highlights. 2. Add bangs. Sometimes you can just add a few wispy bangs for a quick update to your hair style. If you only cut a few bangs, you won't be making a long term committment if you don't like the look. 3. Use hair accessories. There are many new and exciting hair accessories this fall. Try out one of the new colorful headbands that come with a silky scarf attached. 4. Try parting your hair a different way. If you normally part your hair on the side, try a center part. It just got 10 times easier to find a new hair style online. Be sure to check out a brand new site, brought to you by Hair Resources, that features tons of new hair styles and great tips to improve your hair style or the condition of your hair. 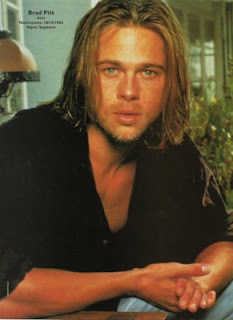 Brad Pitt will look good no matter what length or hair style he has. But you have to admit that the long look on him does look really good. This type of men's hair style will require a lot of frequent trims to keep it laying as smooth as shown in thei photo. Another thing to consider is that extra styling time may be neede to get this look every day. I'm not sure if Brad styles his own hair everyday or he has a stylist that does it. If you plan to do your own styling, you may want to seek the advice of your hair stylist for specific directions on how to achieve this look. Long hair is still winning as the most popular hair style. Everywhere you look you see the long, flowing hair style look. If you are very patient, you can just grow out your hair. Most hair grows about 1/2 inch per month. At that rate, you could have about 12-inch long hair in only 2 years. If you want the long hair style sooner, you can always get permanent hair extensions or even wear clip-in hair extensions. Hair extensions have come a long way and some methods are quite affordable for those that don't have millions in the bank (like celebrities!!). If I were writing the next Dos and Dont's Section for Glamour magazine, this hair style would be a do. It features small sections from the sides of the hair pulled back and pinned into place. The hair in the crown area is slightly back-combed to create a little extra height in the area. Side swept bangs are ironed smooth and flat and swept across the forehead. Add to this the dangling earrings, expert makeup application and you will be a star, just like Carrie Underwood. Short and sassy hair styles belong to Halle Berry. She practically invented them. Check out this short hair style that features many layers that are uniquely positioned using hair products. This type of hair style is very easy to create. Simply apply strong hold styling product throughout the hair and shape and position hair using your fingers. Add accessories and you are done. Not everyone can pull off the short hair style like Halle Berry. It takes some serious confidence!